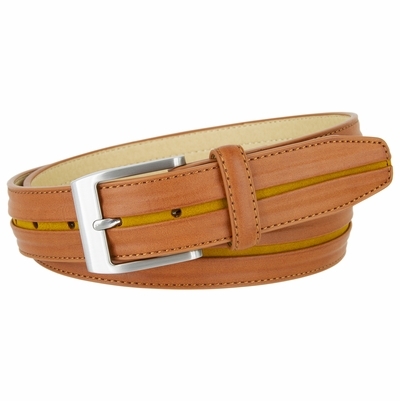 1 3/8" = 35 mm Wide Genuine leather belt. Nickel brushed plated casual dress belt buckle. Sewn on buckle with stitching around the belt for better support and durability. Belt comes in black, brown, tan and navy.